Imagine moving 200,000 children, some of them babies, across the country to places hundreds or thousands of miles away from anywhere they had ever known. 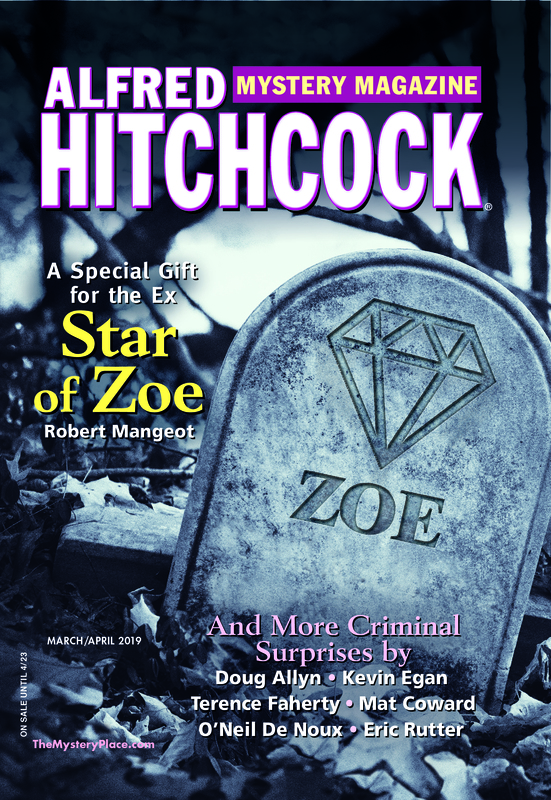 That’s what happened over the course of seventy years, and that movement—in two senses of the word—is what inspired “Train Tracks,” my story in the latest Alfred Hitchcock’s Mystery Magazine. My tale is, of course, fiction, but it is inspired by actual events. In the middle of the nineteenth century war, disease, poverty, industrial accidents, and other reasons, left thousands of children in large eastern cities orphaned or without families who could care for them. The luckless ones lived on the street. The more fortunate were gathered into orphanages, but that was hardly an ideal life. A few institutions run by social workers and funded by philanthropists came up with a solution: Send the children out to the rural Midwest. Plenty of farmers needed extra hands, and life in the fresh air, learning skills, and living with families had to be better for the kids. The first of these shipments on what became known as Baby Trains, Mercy Trains, or Orphan Trains started in 1854 and ended only with the Great Depression. Agents of the children’s societies would go out first to the towns along the train routes, meeting with committees of locals who would be responsible for organizing people to turn out for the event, and for vetting the families who would acquire the children. Some children were placed with families who had requested specific ages, sexes, or other characteristics, but many were simply marched out at a train station or local facility for the farm families to examine. Not surprisingly, many of the children were not fond of that part of the experience. Even worse, in many cases siblings were separated, perhaps never to meet again. As you can imagine, the experiences of the children ran the gamut. Few were formally adopted; to do so cost money and, after all, a farmer could name someone in his will without any such technicality. Some were treated as family; some as unpaid servants or worse. Agents were supposed to check up regularly on the kids, but each of them had hundreds of cases to cover. Some children found themselves bounced from home to home because of problems of the families, or of their own. Of course, there were plenty of success stories. Two boys who made friends on a Train in 1859 were John Brady and Andrew Burke. Burke grew up to be the governor of North Dakota. Brady was the first governor of Alaska. You may remember a strange, ethereal song called “Nature Boy,” which was a hit in 1948 for Nat King Cole. (If not, look it up on Youtube; it’s worth it.) It was written by a man named eden ahbez (he preferred no capital letters), who rode the Train in 1917. But perhaps the biggest success for which the Orphan Train movement can claim some credit is this: by the time it ended, adoption rather than orphanages, was the preferred system of dealing with homeless children. My story looks at a few adults whose lives were forever changed by taking those rides as children. Hence the title, “Train Tracks.” This being Alfred Hitchcock’s you can bet that some of those tracks lead to crime.